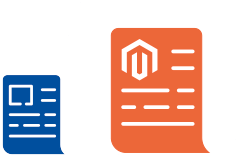 Increased customer benefit, increased automation, increased digitization: That is what the Magento platform should achieve for FLYER. An e-commerce solution is being implemented in several iterative development phases. Bicycles and spare parts will be offered on the platform that has been developed so far. Configurable bikes for B2B and B2C customers will be added next, as well as the pre-order tool that is so important for bicycle manufacturers. One of the most important components is the seamless SAP integration. FLYER is taking an important step in its overall digitization strategy. Biketec AG – FLYER AG since 01/01/2019 – was founded in 2001. 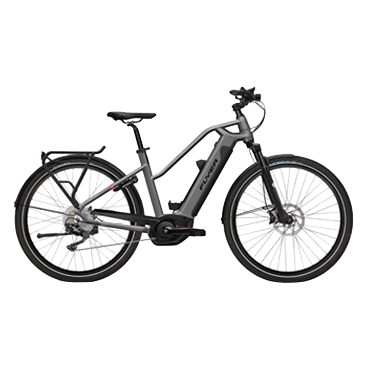 It develops and produces premium e-bikes of the FLYER brand. The modern main location in the Swiss midland, exclusively designed for electric bikes, has around 200 employees, with another 50 in subsidiaries in Germany, Austria, and the Netherlands. FLYER is the market leader in Switzerland. Its export share is well above 75 %, with its main markets being Germany and the Netherlands. The successful bicycle producer offers e-bikes for every need: from classic low-entry bikes and city bikes to sporty e-mountain bikes. The gradual digitization, divided into several phases, allows for faster time-to-market, and thus a faster amortization of costs. The integration of Magento into the SAP product world of FLYER, allows the automatic exchange of orders, merchant, and product data between e-commerce and ERP systems. Retailers ordering on the FLYER e-commerce platform benefit from customer-friendly user guidance and special features developed specifically for FLYER – such as spare parts search. Entering the unique frame number – a unique code that is embossed by the bike manufacturer or applied to the bike with a painted label – in the spare parts search will display all components of this bike to the dealer – from the tiniest bolt or nut to handlebars and pedals. The articles can be placed directly into the shopping cart or added to a shopping list. By linking Magento to SAP, processes are automated and manual effort reduced. FLYER employees no longer have to enter orders manually – this is now done automatically. This reduces the error rate, of course, and relieves the employees. The e-commerce platform distinguishes between the different markets in which FLYER supplies its dealers. Using a complex price and language structure, dealers will be shown the correct prices after logging into the country that has been activated for them. This takes into account each country’s individual conditions, such as product selection and prices/currency. Using a type of simple price switcher, dealers can jump back and forth between wholesale and retail prices if they want to show their customers something directly on the order platform.